The outsourcing bill would allow the food industry to employ roughly 1 million low-wage temporary guest-workers in place of Americans and legal immigrants. The House’s judiciary committee passed the H-2C guest-worker bill 17 to 16 late afternoon on Wednesday after the GOP leadership and the committee members approved an amendment which says the H-2C guest-worker program cannot start until all employers are required to verify the legality of new hires. “A couple of our members were going to vote ‘No’ until they got that reassurance,” Texas Republican Rep. Louie Gohmert told Breitbart News. Nonetheless, seven of 24 GOP legislators on the committee skipped the vote or voted against the guest-worker program. Committee chairman Rep. Robert Goodlatte won the narrow 17 to 16 vote — which allows House Speaker Paul Ryan to schedule a decisive floor vote for the huge outsourcing bill — also because three Democrats skipped the final vote, said Gohmert. “If all the Democrats had shown up to vote, the bill would have failed,” said Gohmert, who voted against the measure, with GOP Rep. Steve King of Iowa. The Democrats were arguing that [the guest-worker bill would] bring down wages of the American worker and that they — the Democratic Party! — were standing up for the American worker. It was all of the arguments that Republicans have been making for years and years about what all the illegal immigrants have done, have stagnated wages and how much they’re costing Americans. It was really weird and that’s why my head was swimming. But the absent Democratic legislators suggest that some Democrats want guest-workers for their business allies, he said. Democrats also voted against the successful companion bill mandating that companies use the E-Verify system to exclude illegal immigrants from jobs. The E-Verify system will cause problems for 0.3 percent of job applicants and will disadvantage many illegal immigrants in the agriculture sector, said Democrats. “If the [illegals] go away, with no replacements, we are not going to be eating too many salads,” said California Democrat Rep. Zoe Lofgren, a pro-amnesty, former immigration lawyer. The E-Verify bill requires federal officials to tell people when their Social Security Number is being used by job applicants, and it allows each person to lock the use of their own number. This is a change from current policy, in which government agencies do not tell Americans when illegals are using their SSNs. Nationwide, roughly 8 million illegals hold jobs, many of which could otherwise go to sidelined Americans. The package of two bills is expected to get a floor vote by the full House, Gohmert said. But the Senate is an obstacle to full implementation of the E-Verify system, Gohmert said, because business-first GOP Senators may try to strip the E-Verify measure from the H-2C guest-worker bill. The combined bill allows House Speaker Paul Ryan to aid the GOP’s industry backers — including the low-tech dairy business in his own Wisconsin district — even though he has done very little to implement President Donald Trump’s popular pro-American immigration principles, or to deliver on the GOP’s election promises in 2016, said Gohmert. Those promises include funding for a border wall, repatriating illegals, raising wages and enforcing immigration laws. Business groups oppose these priorities because reductions in the supply of extra immigrant workers and extra immigrant consumers will drive up wages, reduce sales and slide stock values. In fact, Ryan reportedly told GOP legislators that he would soon push to extend the DACA amnesty for many young illegals without even trying to get strategic wins from Democratic legislators. Those wins could include equivalent reductions in the number of legal migrants, for example, by cutting the number of immigrants allowed in via chain-migration. Look at what [promises] got Republicans the White House and the majority in both Houses. Number one, build a wall and secure the border. That has not happened yet. … We also promised repeal of Obamacare, we promised tax reform. The three biggest promises made by Republicans still haven’t been accomplished, and we’re now going to push through a new visa [program] that will allow people illegally in the country to take advantage of it even though they have to [anunally] touch back their place of origin? E-Verify is very important to some of us, so we can track the people here that are getting jobs [but] I would like us to keep our promises first. Once the border is secure, I will be in favor of all kinds of solutions for the problems we have with people here [illegally]. 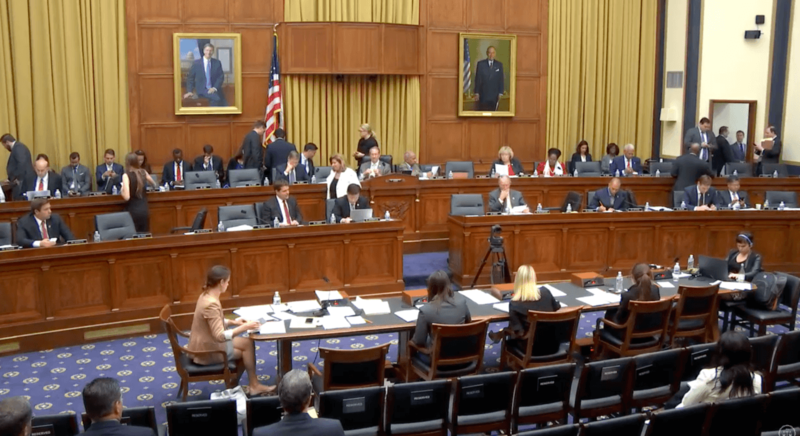 In the high-stakes debate over immigration reform and labor economics, the combined guest worker and E-Verify package “is a small-ball deal, but the only way to get things done is small-ball,” said Jessica Vaughan, an immigration expert at the Center for Immigration Studies. “A smaller deal is the better way to go about it because it reduces opportunities for lawmakers to insert sugar-daddy provisions for favored constituents [and] it reduces the opportunity for mischief,” she said. I don’t think it is ideal, but it is an improvement over what we have now. It will mean that Americans lose [food industry] jobs, no question. Americans working in these year-round jobs will see their livelihood taken away because employers will gravitate to the guest-worker program because the guest-workers will be paid less … I hope the federal government will practice some containment on this. The labor participation rate is at a 40-year low — 20 million Americans are unemployed or underemployed — and meanwhile, millions of [illegal immigrant] people continued to be hired … These jobs should go to Americans or to legal immigrants … illegal immigrants take jobs from Americans and reduce their wages. Goodlatte is working on a select immigration task-force picked by Ryan, which is slated to develop legislation for passage late this year. On October 8, Trump released his poll-proved principles for any immigration trade. The H-2C legislation would allow companies to import hundreds of thousands of H-2C guest-workers each year, each for 18 months or 36 months. The program would start at 450,000 workers per year, and could rise 10 percent whenever food-industry recruiters reach the annual H-2C cap. Illegal immigrants now in the country could enroll in the program to gain legal status. This H-2C outsourcing program would be far larger than other guest-worker programs. The other programs include the H-2B program which employs 115,000 migrants for blue-collar seasonal jobs, and the H-1B program which keeps at least 550,000 foreign graduates in white-collar jobs at the nation’s universities, hospitals, banks, accounting firms and Indian-owned technology-contracting companies. Other outsourcing programs include the L-1 and J-1 visas, the Optional Practical Training program for foreign college-graduates, and the TN free-trade visas for mostly white-collar workers. The proposed H-2C program would largely replace the existing H-2A program for seasonal agricultural workers. The imported H-2C workers would be paid a minimum wage of $8.34 an hour — regardless of prevailing local wages — and the farm companies could deduct normal business costs from their wages. Those costs would include the costs of uniforms, lawyers’ fees, tools, safety equipment, health insurance and the cost of transporting the foreign workers into the United States. Employers would also not have to pay the guest-workers when weather or other circumstances prevent work. The bill also changes the legal definition of farm work to include many people in the food processing industry — such as slaughterhouses — as well as people in the logging industry, where Americans can earn $20 to $32 an hour. The bill assigns 40,000 H-2C workers to the meat-processing industry, who will be paid at 150 percent of the minimum wage. The industry needs a steady supply of replacement workers to take positions on the dangerous, high-speed production lines. The industry also wants the H-2C workers to help offset President Trump’s recent decision to reduce the supply of new refugees. Many refugees are shunted into the slaughterhouse industry by the taxpayer-funded refugee-processing agencies. The existing H-2A guest-worker program forces agriculture companies to pay an “unrealistic and uncompetitive wage rate,” Goodlatte said. The U.S. agriculture companies are at an economic disadvantage, in part, because the federal government has allowed them to use cheap illegal-immigrant labor instead of developing European-style labor-saving machinery — such as cow-milking robots — to offset the low-cost wages paid by companies in South America and Asia. The stock values of agriculture companies have declined during the last several years, according to several indexes of stocks. The H-2C bill will help the companies by allowing them to pay South American-level wages to the guest-workers in the United States. “I understand that some in the agricultural industry have concerns about the impact of mandatory E-Verify on the agricultural workforce. 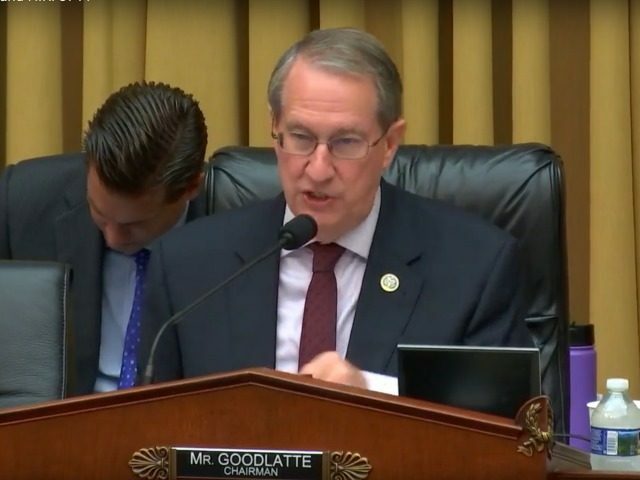 That is why the Legal Workforce Act and the Agricultural Guest Worker Act will both be marked up today,” Goodlatte said Wednesday. Democrats who routinely back the nation’s mass-immigration economic strategy, and cheap-labor amnesties, took the opportunity to slam the GOP. “We should protect [American] workers,” said amnesty advocate Rep. Luis Gutierrez. “That is not putting Americans first –we should always do that,” said the Chicago Democrat, who backed the 2013 “Gang of Eight” amnesty-and-cheap-labor legislation. The Washington-imposed economic policy of mass-immigration floods the market with foreign labor, spikes profits and Wall Street values by cutting salaries for manual and skilled labor offered by blue-collar and white-collar employees. It also drives up real estate prices, widens wealth-gaps, reduces high-tech investment, increases state and local tax burdens, hurts kids’ schools and college education, pushes Americans away from high-tech careers, and sidelines at least 5 million marginalized Americans and their families, including many who are now struggling with opioid addictions. Americans tell pollsters that they strongly oppose amnesties and cheap-labor immigration, even as most Americans also want to favor legal immigrants, and many sympathize with illegals. Because of the successful cheap-labor strategy, wages for men have remained flat since 1973, and a growing percentage of the nation’s annual income is shifting to investors and away from employees.